We will be moving studios soon, and this post is mainly to let anyone know who might be checking in that we will not be running the open workshop figure sessions on Thursdays or Sundays until further notice, and when we have relocated. We will post our new location here soon, so you will be able to check back here to find the new info. 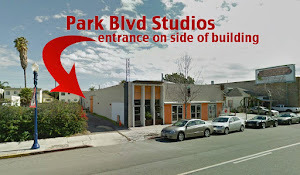 Thanks to everyone who has made our stay here at Park Blvd Studios a pleasure and an adventure. We're looking forward to our new adventure as well, and look forward to having you along if you'd like to join us!